Every year, another retail giant goes into administration or voluntary arrangement and closes its doors. Last year it was BHS, and this year Toys R Us and Maplin have announced closing down sales. In 2017, the number of large retailers going into administration rose for first time in 5 years. The scale of big retailers can actually make them more vulnerable. With so many different stores; rising rent costs, business rates, and currency fluctuations can be very harmful. Even retailers that seem to be going strong can end up losing all, with just their empty and abandoned shops left behind. “More than a third of (BHS’s) 160-odd stores….have no tenants or development plans on the horizon”. What advantages do small retailers have in this climate? Physical stores are losing out to online sales at a rapid rate – 20% of fashion sales are now happening exclusively through ecommerce sites. 55% (of retailers) are happy to adopt new tech, but 45% are lagging behind. 33% are reluctant because they don’t “see a clear return on their investment in technology”. With more and more shoppers buying online, retailers can’t afford to ignore the way the British high street is evolving. Luckily, independent retailers can introduce new technology far faster than larger chains, improving their online presence without delay. If you’re interested in creating a new website, it should be a fairly fast and straight forward process because you’ll know exactly what you want. In larger retailers, a group of people have to decide what the look and style of the site should be like, and then after a series of drafts, it will need to be approved and signed off by everyone which can take a lot of time. 90% of people think local shops are good value, and two thirds think they add value to their community. Several years ago, it was a very real fear that the British high street would be dominated by large brands and smaller independents would be pushed out. Recent events in the retail industry have demonstrated that’s quite far from the truth. Small retailers can be entirely unique and create their own brand identity. 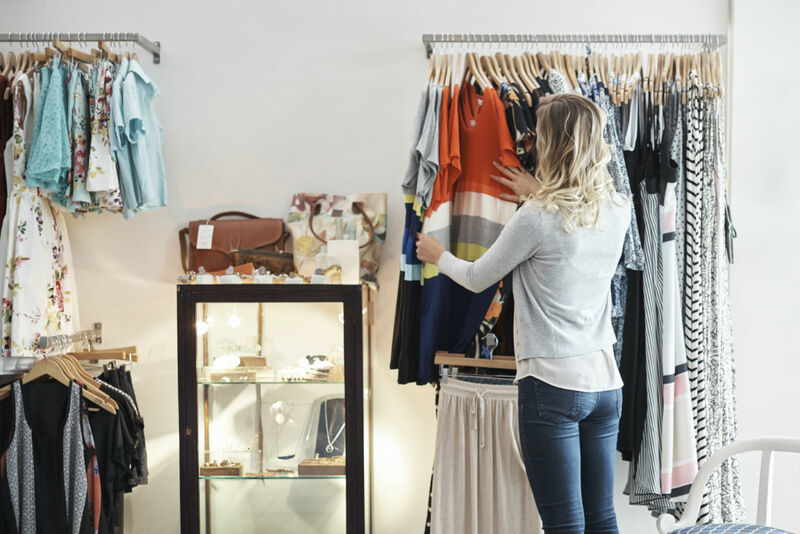 They can also foster a close connection with their customers – something department stores and big brands can attempt but never achieve in quite the same way. Small retail businesses have the public behind them, and events like Small Business Saturday promote the value of shopping local! This year, it will be happening on 1st December so make sure to get involved. Small retailers can change and adapt to changes and demands far more quickly than a large corporate business. The structure of a small business is more lean, with fewer employees, and fewer overheads. If a small retailer needs to upgrade to a larger premises, they can be much more mobile and flexible, growing over a shorter period of time. To make this growth process easier, Capify can help small businesses raise between £3,500 and £500,000, depending on their monthly turnover. The online application is simple, you’ll have a decision within 24 hours, funds within days, and support from real people based in our Altrincham office. Find out how much business finance you can raise by getting a quick quote.